Finns have big hands, at least, that’s the impression I get from the few Finnish friends I have – and that is a number that is closer to 10 than to 0. 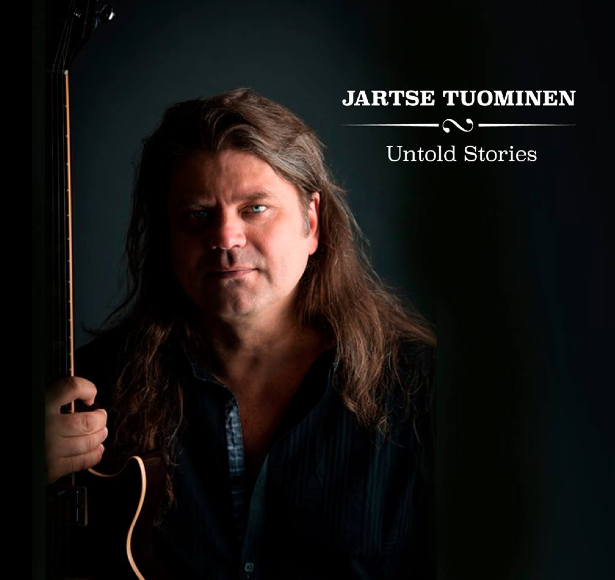 Knowing that, and how small the neck of a guitar really is, it’s a miracle someone like Jartse Tuominen can play a guitar at the lightning speeds he sometimes reaches. 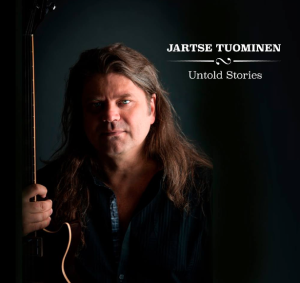 However, Finns also get older, and on his new album Untold Stories, even Jartse slowed down – compared to his previous two albums, 11 and 15 years ago. I don’t think he can’t do fast anymore though, but on this album he’s nowhere near the frantics he exposed on Progressive. What he brings us a nice jazz rock album, with a lot of guitar (no surprise), accompanied by a really tight band. On the first three tracks (Extraordinary, Hybrid Fusion, Mesa), it’s well performed jazz rock, which reminds of Progressive, but more relaxed and with a nice percussion interlude in Hybrid Fusion. In between these two tracks are Simppa Goes to Töysä (is this Finnish phonetic for Simple goes to Tulsa?) which jazzy but not too much and has a nice guitar solo, and the straight forward blues rock track Trouble Shuffle. An odd piece on this album, but as a break in the middle it works for me. Nine Lives is the low of this album for me. Not bad in terms of guitar and keys, but a bit too long (because of it’s repetitiveness), but the follow up Yeah Right, another well done jazz rock track makes up for that, together with the heart felt Gary Moore like guitar work on closing track Farewell. So, Jartse did slow down a bit, but hasn’t lost the touch. If you like instrumental, guitar oriented music that leans toward jazz rock, give this a try. If you don’t, do the same. It’s not Jartse’s best album, I have a life long weak spot for Progressive, but still recommended.